The year 2018 saw an unprecedented level of restoration work on our Bristol Britannia G-ANCF 'Charlie Fox' aircraft. Our volunteer workforce has also greatly expanded over the past 18 months with some form of restoration activity taking place on location most weeks, weather permitting. Thanks to the dedication of our volunteers together with the help and support from a wide range of supporters, we can really be proud of the significant progress achieved this year. 1) The completion of the removal of the many layers of old paint, and the subsequent rubbing down of the fuselage. This process had been on-going for quite some time due to the size of the aircraft and difficulties with access and the weather. Now, in the near future, primer can finally be applied to the aircraft. 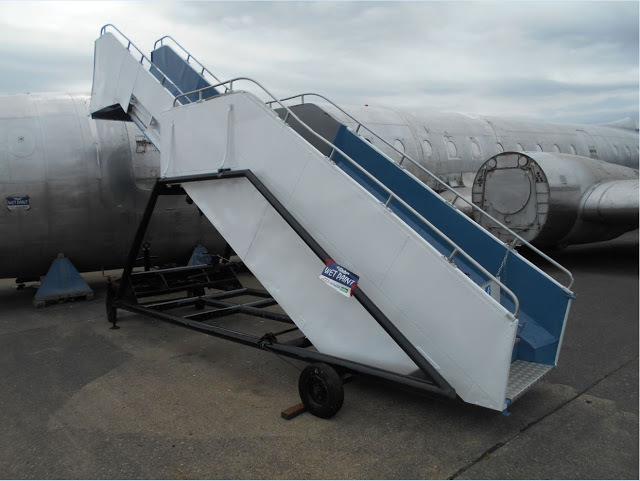 2) The restoration of the airstairs is a process that started a while ago, and is currently on-going. The reason for doing this work is to not only preserve the airstairs for the future making them more attractive and useful for the public, but also to hopefully make them easier to extend and retract. 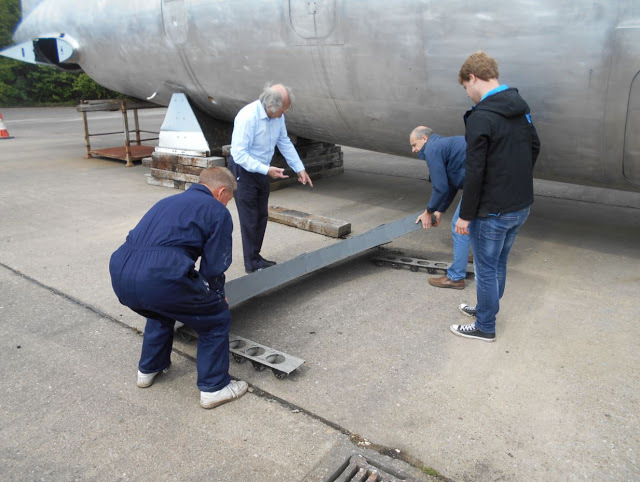 3) The replacement and/or restoration of a number of damaged trestles currently holding up the aircraft. We thank all our volunteers for the outstanding work. We are always welcoming new volunteers and any form of donations. Naturally, we are always in need of funding. So come and check out the progress during volunteer working days and dig deep in your pocket for our collection box!